The ALDO brand was built on a firm foundation of creating shoes that effortlessly meld bold, on-trend style and accessible quality. Cath Kidston is a British lifestyle brand designing colourful prints that turn modern, practical products into something witty, fresh and fun. Chevignon is a world famous brand of leather, denim and causal-wear, best known for its timeless style, quality materials and authentic craftsmanship. Crocs offers a broad portfolio of all-season products, while remaining true to its core molded footwear heritage. Brazil-made Havaianas use high-quality rubber with patterns by presenting fun, energetic and enthusiastic Brazilian’s character to the rest of the world. Rebecca Minkoff is a lifestyle brand for the “downtown romantic” which becomes a favorite for modern, trend-setting everyday women and celebrities alike. Repetto has been producing exquisite dancewear for over 70 years and is known for its unique process of fabrication, ‘stitch and return’. Rockport combines Adidas sports technology into its footwear collections, which are sophisticated and stylish without compromising comfort or functionality. 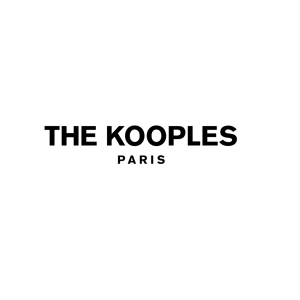 Founded by brothers Alexandre, Laurent and Raphaël Elicha in 2008, The Kooples is an international brand with more than 400 stores in 36 countries. UGG Australia is a premium lifestyle brand in which its signature sheepskin boots have built an unparalleled reputation for luxury and comfort.